Rust alighted on my tongue with the taste of a disappearance. and I accepted no value other than impossibility. and I was unable to resist the perfection of silence. When the Spanish Civil War began in 1936, Antonio Gamoneda was only five years old. He had lost his father, a poet, in 1932, inheriting only his name and spiritual vocation, and had moved from Oviedo with his mother to Leon, a permanent locus in the poet’s heart and mind, in 1934. Gamoneda’s career as a poet is marked by silences and disappearances. Born into war, he came of age during the Franco regime, a period given over to parochial fear, ideological repression, sudden incarcerations and executions, and the eerie nightly sound of moans “through the belt of poplars” (105). It was an historical necessity that Gamoneda’s poems would be called upon to account for death’s force and omnipresence (“la poesía es el relato de cómo se va hacia la muerte”). Under such ominous conditions, language for him devolved into a game of chutes and ladders, truthful lies and fabricated truths, because, as he writes in Description, “all the while torture has made a pact with words” (9) and those who “learned to travel with their gag … were more clever” in “a country without truth” (21). The independent poet’s educative process in Francoist Spain was hence a gradual and agonizing ritual of instrumentalizing silence, exile, and cunning (to borrow Joyce’s famous cri-de-guerre). 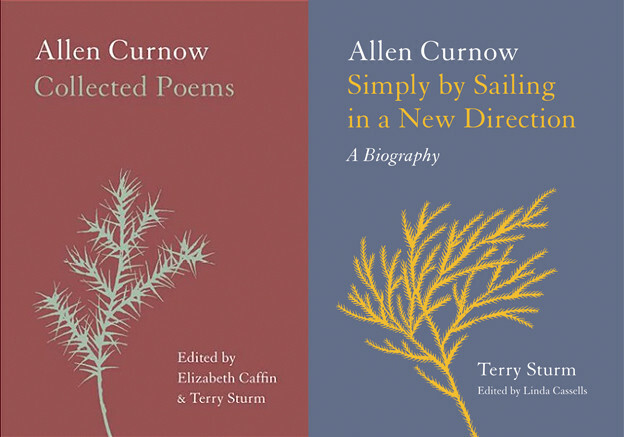 The 1950s staged a decisive moment of outgrowth for the young poet. 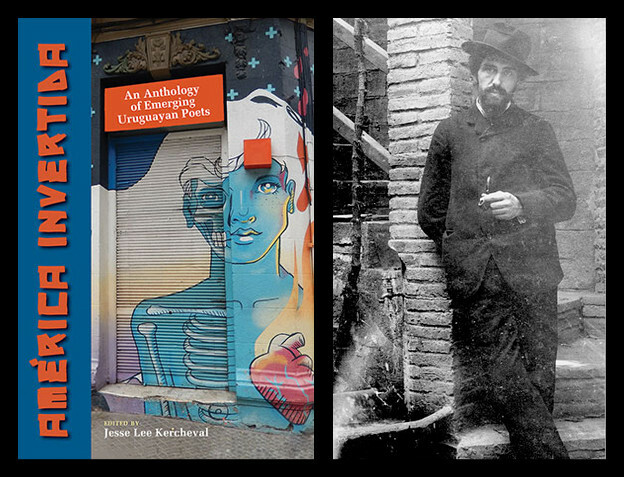 La tierra y los labios (1947–52), unpublished in his time but later collected in the anthology Edad (1987), signaled the burgeoning of a poet still influenced by the prosodic and philosophic stylizations of the Generación del 27. Sublevación inmóvil (1960), his first published book, advanced this poetics, only this time informed, as the title indicates, by an inner revolt brought to immobility by social repression; its method of rebellion was essentially a hermetic one orientated around surreptitious metrical strokes and the capture of “the hard, undeclinable / material of lightning.” By the 1960s, however, Gamoneda’s hermeticism achieved a “perfection of silence” so total that, though he continued to write extensively (the work of this period would be later collected as Blues Castellano [1961–66], published in 1982), he would not be able to put out any major book for nearly seventeen years. Francoist censorship instigated an intellectual crisis: Gamoneda’s poetic had outgrown its earlier agnostic permutations, and his poems could no longer avoid a direct and battered denunciation of the violence and social reality that contorted the Spain of his time. It wasn’t until Franco’s death in 1975 that Gamoneda boldly returned to literary life after an interminable absence — the disappearance of the physical embodiment of Francoism propelled him to stage his own reappearance as an unshackled poet. In 1976, faced with a dire urgency for cathartic expression, Gamoneda composed the entirety of Description of the Lie in a radical poetic where, in translator Donald Wellman’s words, “white space is crucial” and in which lyric voice “emit[s] flashes of violence and unexpected tenderness” (3). Description not only formally “represents Gamoneda’s poetic language at its most intense pitch,” but it also symbolically marks the decisive break with Spain’s tortured past that proved capable of articulating a language of mourning for its numberless disappeared and muted dead. This immersion in the undergrowth narrates what Gamoneda calls “legislating in the negative” (13): that is, an inverse purity of heart that voluntarily reaches into the mud of the past and “smell[s] the testimonies of all that is filthy on earth” and “love[s] that which has remained of us,” the noxious white dust of incinerated bones, the terrified urine and feces of the assassinated, the hopeless question that asks: “what truth exists in the entrails of pigeons?” To legislate in the negative is to gainsay the truth or to betray it, to circumvent its will to dominate social reality and deny its vestiture of ideological commitment and logocentric binaries; it makes no “appeal to the truth because the truth has said no and made my body acidic,” and has made dross of the once ironclad belief in the sincerity of twentieth-century nationalist movements (“So was our age: we were going through beliefs” ). In lieu of the gross abstraction of positivist belief systems, Gamoneda rejects “truth” (a pliable object bent and unbent by machines of authoritarianism) and instead rests with his senses to the ground, immobile yet muscularly active, an animal whose “work is retraction,” a “retreat toward a maternal species” (21) that listens to silences and watches for the stealth movement of ants and sparrows, swarms and murmurs, the rhizomatic growth of molecular whispers. The rejection of the fallacious “truths” of human order institutes a converse acceptance of the essential openness and imperfection of the earth beneath, the rust and undergrowth whose silences speak. adultery simmers at the bottom of the vessels of night. So is the eve of a day. Milk announces morning. … This incomprehensible account is what remains of us. Betrayal prospers in inviolable hearts. The “escuché … escuché … ” (I listened … I listened … ) changes to a litany of “vi … vi … ” (I saw … I saw … ), a crucial verb shift whose lucidity relies on an opening of the eyelids that had been closed in the fear and cowardice of Description of the Lie (ignoble traits which had, paradoxically, in a zone of betrayals, become virtues for survival). The pack of animals in Gamoneda having recognized and hearkened to the voices of the dead (“Each distance holds its silence, / headstones attended by animals that haul calcium until their death” [Description, 95]), the sculpting and erection of gravestones impinges on the pneumatic poet. This obligation to craft headstones where disappearances have been registered requires precision but also a sight that peers into animal depths, and an inward hearing that returns us to the rust of the tongue: “I hear steel simmer. Precision is dizziness. / Your hands open the eyelids of the abyss” (Gravestones 31). Each of Gamoneda’s gravestones is composed in the manner of a Rimbaudian illumination in which the seen exhausts the truth functions of language, instigating a radical transformation of lyric articulation. If “the tongue exhausts itself in truth” (33), then the eyes follow suit, learning to doubt the solidity of their seeing, trusting the rust rather than the steel, the fungal decay rather than the pure unmolested fruit. Yet the two substances, the November rust and the chronic steel, dependent upon an ontological shift from apparition to disappearance, cohabit a chemical and philosophic hypostasis. We return, again, to the Rilkean line (Ein Hauch um nichts), the hollow interior in which silence, the objectless pneuma, suddenly begets two corporealities, two tongues that simultaneously temporalize the becoming-animal and the zoon politikon, the birth pangs of speech and the decay of language, the rust on the abandoned blade and the cruel steel in the machinery of death. I forced you to read the silence. And you glowed. blue between two deaths, two physical tongues. Oh final dove, soon it will be November. All the animals join in a large groan. I hear old age whistle. Maybe you think of disappearances. Gamoneda, who stages a tenebrous reemergence to life in Description of the Lie, frames in Gravestones a full and lucid return to the joys and declinations of poetic language, one whose very objectlessness occasions the possibility of a new poetics for elegizing the disappeared. 1. Antonio Gamoneda, Description of the Lie (Descripción de la mentira), trans. Donald Wellman (Greenfield, MA: Talisman House, 2014), 5. 2. 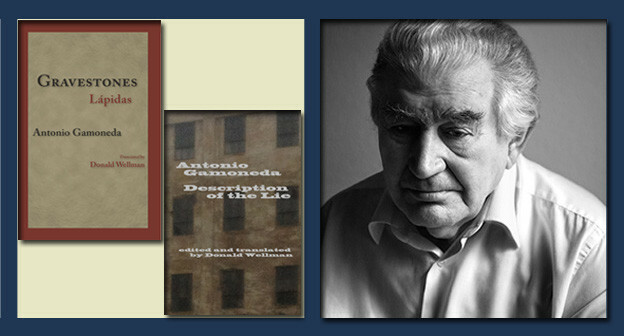 “Poetry is the relation of how one approaches death.” Antonio Gamoneda, interview by Francisco Martinez Garcia, “El poeta Antonio Gamoneda me habla del tiempo,” in Gamoneda: Una poética temporalizada en el espacio leonés (Leon: Universidad, 1991), 42–44. 3. My translation from the first stanza of “Sublevación,” in Antonio Gamoneda: Antología Poética, ed. Angel L. Prieto de Paula (Leon: Edilesa, 2002), 61. 4. Gilles Deleuze and Felix Guattari, A Thousand Plateaus, trans. Brian Massumi (Minneapolis: University of Minnesota Press, 1987), 32. Wellman also suggests that Gamoneda’s poetic is a line of flight that “enacts processes that place perception before meaning and in that sense has something to do with the rhizomatics of Gilles Deleuze and Felix Guattari” (2). 5. “The poem is a ‘lie’ unlike existential or socio-historical lies — the lies codified by conventional ethics — by virtue of an assemblage of formal, material features which constitute it as a ‘radical’ or ‘poetic reality.’” Daniel Aguirre Oteiza, “‘A Different Denial’: Politics and Poetics in Antonio Gamoneda’s Description of the Lie”; included as an afterword to Wellman’s translation, Description of the Lie (Greenfield, MA: Talisman House, 2014), 148–65. 6. Antonio Gamoneda, Gravestones (Lápidas), trans. Donald Wellman (UNO Press, 2009). 7. Julian Jimenez Heffernan, epilogue to Lápidas, by Antonio Gamoneda (Madrid: Abada Editores, 2006), 104. 8. “Lápidas ha sido escrito por un animal […] Gamoneda es una voz … Gamoneda es un animal” (Gravestones has been written by an animal […] Gamoneda is a voice … Gamoneda is an animal”): Julian Jimenez Heffernan, epilogue to Lápidas, by Gamoneda, 88, 95. 9. Quoted earlier as “I listened to the surrendering of my bones … I listened to the flight of insects … I listened,” etc. (my emphases).